FuneralConnect provides cemeteries with online memorials and QR code connectivity. If you are looking to add online memorials to your cemetery client package contact us to learn how we can help. 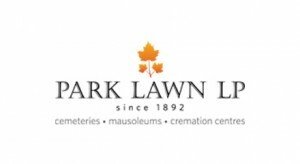 Founded in 1892, Park Lawn LP is a group of six non-denominational cemeteries, serving the needs of all multicultural communities in Toronto. The branded platform provides online memorials to Park Lawn clients and includes several custom themes.